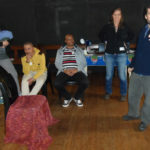 The Forum Theater training workshop, presented by the Adaptation Network, exposed participants to a different way of addressing oppression while facilitating transformation and learning at community level. Policy development and implementation involves the incorporation of a wide range of sectoral and government level knowledge. 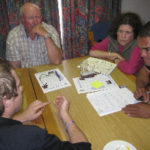 The article describes the key aspects that contributed to an effective adaptation strategy. The African Adaptation Initiative (AAI) is led by the Committee of African Heads of State and Government on Climate Change (CAHOSCC), and aims to ensure that African countries lead the work in adaptation and loss and damage on the continent. The article gives a more detailed overview of AAI. India launches the first independent Greenhouse Gas Emissions Estimate System (SEEG – Sistema de Estimativa de Emissão de Gases de Efeito Estufa) for an Asian country. The platform aims to provide information that can be easily accessed by the public. Adaptation Finance has become an important topic in the Climate Change landscape. The article aims to provide clarity on project development that will meet the requirements of funders in order to access funding. The Adaptation Colloquium 2016 provided a platform for the youth to share their experiences and suggestions in youth engagement in climate change adaptation. 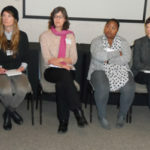 The participants in the panel discussion included representatives of Youth@SAIIA, South African Youth Climate Coalition, Young Women in Climate Change, and Environmental Monitoring Group.